Displacing People in the Name of Development Must Stop Immediately! Human rights violations in the regional state of Afar Asita Province, Wamule Districe. Stop forced displacement and mistreatment based on ethnic identity! Ethnic Based Displacement, Mistreatment, Destroying Properties and Displacing People in the Name of Development Must Stop Immediately! 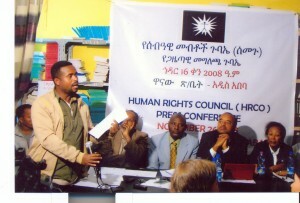 The main objective of the press conference is to highlight two selected very serious human rights violation cases and to call upon, to put pressure and to encourage the Ethiopian government to give attention to the violations. HRCO asks the different concerned bodies by standing with us in this endeavor to fulfill their professional, moral and citizens’ duty. 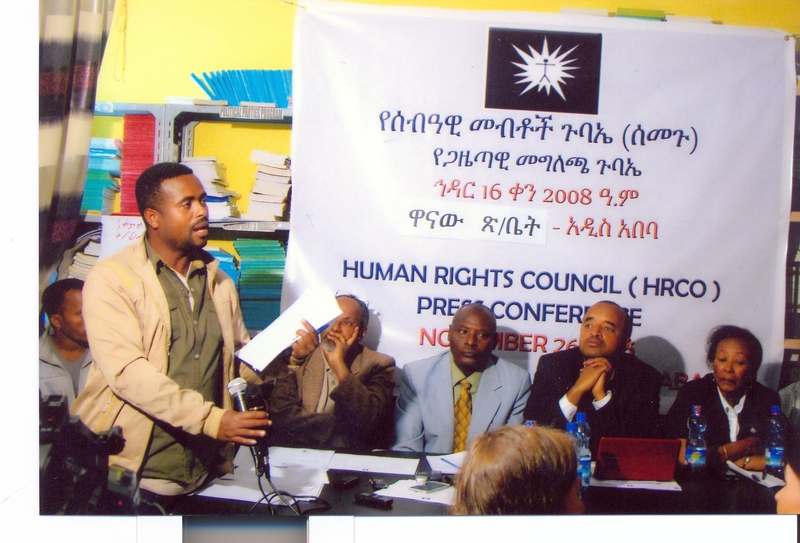 The fist case raised on the press conference is the human rights violations that have committed in the regional state of Oromia, Western Shewa Zone Nono Alo district. As the result of this human rights violations one person has been killed, 10 people sustained small and severe physical injuries, 99 huts have been burned down and reduced to ashes, 25 tin roofed houses burned. The estimated total worth of the destroyed properties is 30 million birr.